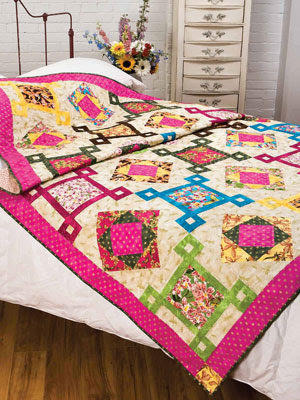 Hollyhock Quilts: Jump-Start Your Quilting Book Blog Tour ~ Last Day and Giveaway! 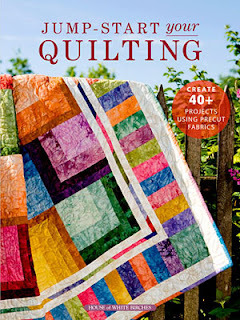 Jump-Start Your Quilting Book Blog Tour ~ Last Day and Giveaway! Wecome to Hollyhock Quilts! Today is the last day for the Jump-Start Your Quilting Book Blog Tour. Thanks to all of you for sticking around to see more about this fun new book! 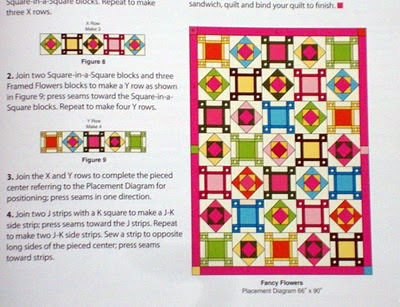 I am reviewing the Fancy Flowers quilt designed by Judith Sandstom. Be sure to scroll down to the end of the post to find out about a give-away! First of all, I LOVE the colors! So Springy!! 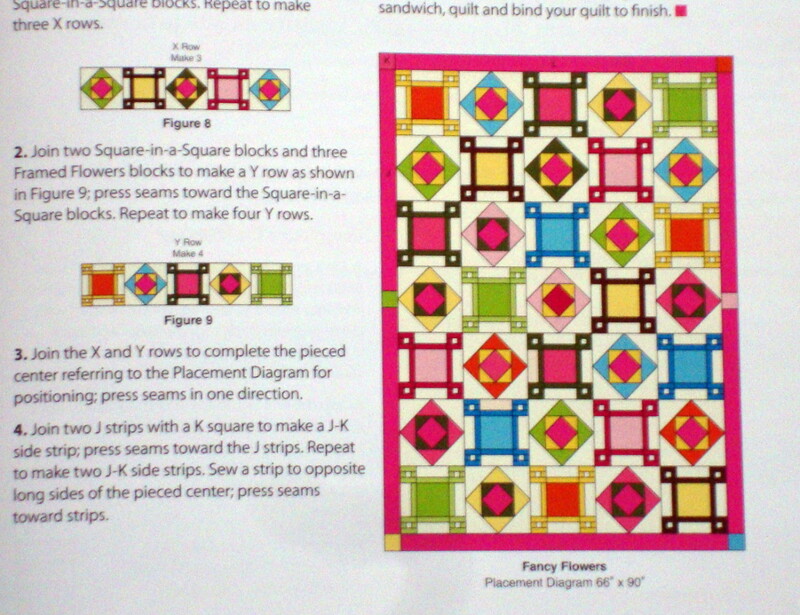 Secondly, I love quilts that incorporate two different block designs. You get so many interesting things going on. This one uses a Square in a Square alternating with Framed Flowers blocks. I also really like that the pieces are big enough to show off large print fabrics. This quilt would be a great STASH quilt due to the fact that it uses Fat 1/4s and other larger pieces of fabric. Of course, it would be great for scraps, too! Victoria at Bumble Beans Inc.
For more information on purchasing this lovely book full of TONS of great projects, go to the Clotilde website. Now for the giveaway! We didn't receive one of these books to give away, but as you may already know, I am DESTASHING a huge number of wonderful QUILT BOOKS in preparation for a move down the road a bit! As a thank you for visiting, leave me a comment here and the winner will pick their choice of book from here or here (see the Book Destash pages under the header). Anything not marked SOLD by the time I pick the winner on Thursday morning is yours to choose from! You can still purchase if you see something you want anytime. There's only ONE DAY to enter so get to it! !